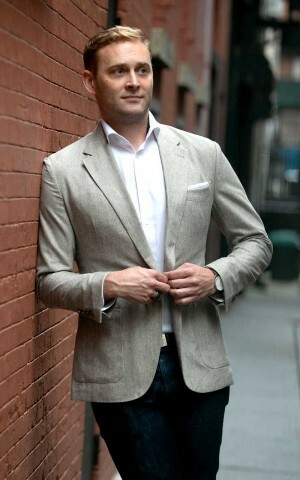 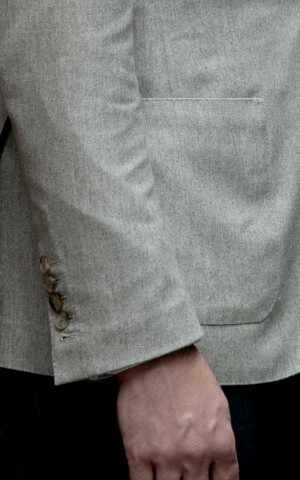 This cream twill jacket made from Vitale Barberis fabric is a blend of wool, silk, and linen. The unstructured design makes it an ideal layer for cooler summer evenings. 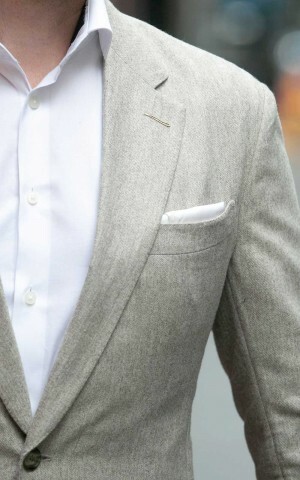 It pairs well with jeans or cotton trousers creating a versatile piece for any wardrobe.